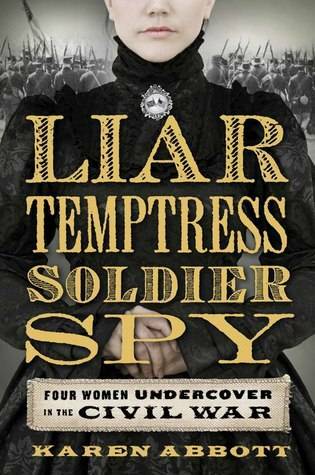 Admittedly, most of my fascination with women who write military histories or biographies tend to focus on topics of the 20th century or later. While I’m not saying that men don’t have interesting voices and viewpoints to this particular topic, I’m always amazed by the stories that women share when it comes to doing research and collecting information. For some of the most recent wars, women had been able to physically visit war torn areas and dangerous battlefronts. In light of recent events in the news, journalists and researchers are prime targets for the opposition. For most of these stories, there’s a dual price that’s paid. The author may risk her life to get certain pieces of information and the subjects inside are often immersed in this explosive environments. Knowing this provides an intense reading experience for me, like a thriller without the fiction. Disclaimer: I’m currently an intern at Houghton Mifflin Harcourt, though I had absolutely nothing to do with this book being on the market. Originally, I listened to an NPR interview with the author in which she recounts the time her hotel room was raided, her electronic devices stolen, and she was viciously punched in the face. 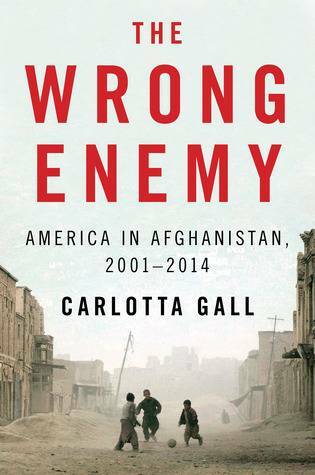 What Gall went through to obtain interviews and information is astounding, and reading about a war that I’ve experience in my lifetime is something that immediately grabs my attention. This may not have been the first book that started it all, but it’s certainly the one that lit that big, bright lightbulb over my head. If you’re going to pick up one book about World War II, this should be at the top of the contender’s list. 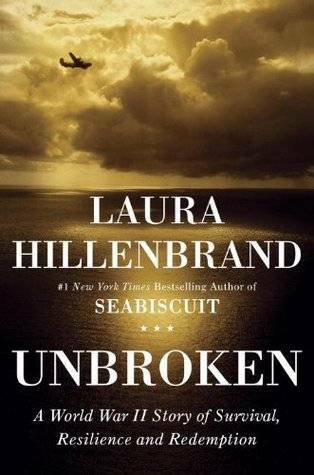 Known for Seabiscuit, Hillenbrand knows how to write a top-notch biography about a lieutenant’s struggle to survive after his aircraft goes down in the Pacific Ocean and is later captured as a prisoner of war. I’m not ashamed to admit that I teared up while reading this and, just like Seabiscuit, Unbroken is going to be made into a movie – one I will happily throw my money at once it’s released this Christmas. The movie is being directed by Angelina Jolie and the screenplay is written by the Coen brothers. This book is probably borne out of my sense of morbid curiosity. I’m a sucker for military documentaries, especially those that deal with social issues, and Bourke does a great job infusing the psychology of death in wartime. 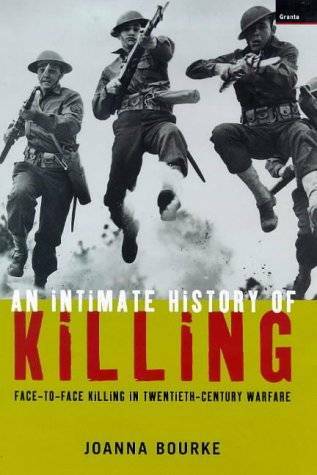 Definitely not for the faint of heart, An Intimate History of Killing mainly covers World War I, World War II, and the Vietnam War, though the processes behind how soldiers cope with combat are, I feel, universal themes. Since the book was originally published in the late-nineties, it hasn’t made the leap into a digital copy just yet. While not technically a book on war, I couldn’t resist sneaking this book onto the list. 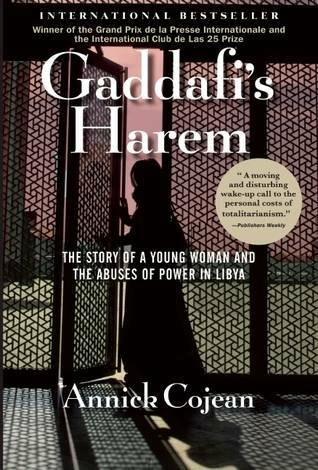 Chronicling the history of a young girl trapped in former Libyan dictator Muammar Gaddafi’s harem, Cojean braves the subject of sexual abuse in a country on the verge of war and revolution. Following Gaddafi’s death, Coljean even manages to orchestrate interviews with several of the dictator’s former employees. It’s an impressive account of a culture that seems so far removed from my relatively safe, American upbringing. And, since I’d rather be safe than sorry, I’m issuing a major trigger warning for this book. Though the Civil War did not occur in the 20th or 21st century, this book still deserves to be mentioned. Rioter Emily already included it in her own Genre Kryptonite post, but it bears repeating. I learned so much with this book and I’m all about spreading the knowledge (and good books). Not only is this written by a woman, but it’s about women. Awesomely badass women. And please, I welcome more suggestions. I’m practically salivating for what to read next, so tell me some other authors that I just have to read.